It’s important to understand dangerous habits we have, especially those we do on a consistent and daily basis. As long as we refuse to let go, or find healthier alternatives, we continue to leave the toxic tap running into our body while we do very little to get those toxins out. In that vein, let’s look at unhealthy drinks and the top 4 that are causing damage, and in ways we may not have even expected. Soda is bad news…period. There is not one thing that soda is good for, besides unclogging drains and fun experiments with rusty nails. 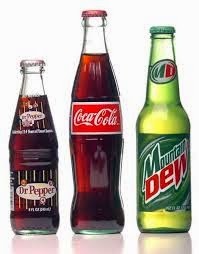 Soda’s are primarily made of 5 ingredients: carbonated water, sugar (sucrose or high fructose corn syrup), caffeine, phosphoric acid, and ‘natural’ colors and flavorings. Each one of these ingredients on their own causes blood sugar spikes and imbalances, adrenal damage, and destroys the delicate pH balance of the body. Combine them altogether and you have one of the most deadly beverages on the planet, and certainly one of the most consumed on top of that. Then, the ‘impossible’ came true and they made it worse by adding artificial sweeteners like aspartame. This ingredient is a neurological, and ironically, obesity nightmare. Coke has apparently started introducing stevia, a natural sweetener, to their beverage line, although I’m not certain to what extent. Either way, it doesn’t negate the fact that soda is still something you don’t want to consume on a regular basis. Need a boost of energy? Try these tactics and ditch that soda. Try standing in front of someone at the coffee perk or in line at the coffee shop and see if you can come out unscathed. Probably not. Next to soda, regular coffee is the next unhealthy drink that is being consumed in mass across the world. With so much popularity, and so many side effects, people are searching feverishly for good reasons to drink it. 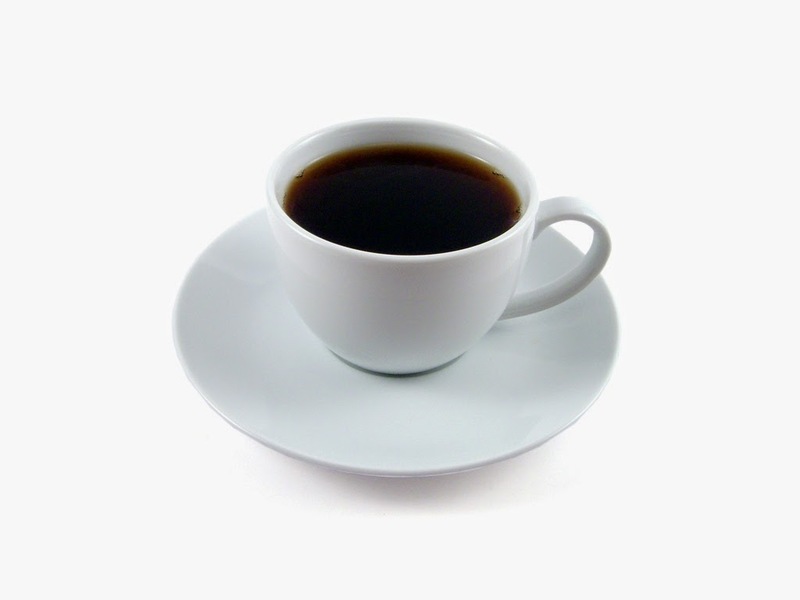 Fortunately for them, researchers obliged and noted coffee can help with things like mental clarity and mood (for the first 30 minutes anyway), and even help offset such health challenges like Alzheimer’s and Diabetes. The hard truth is that regular coffee is NOT a healthy drink and it’s overall report card is not good. Sure it offers some antioxidants, but so does green tea. The fact is, coffee is acidic, dehydrating, adrenal depleting, and disturbs the nervous system to the point of jitters and anxiety. Here’s the good news…there are coffee products that have reduced acidity, lessens dehydration, limits adrenal fatigue, and doesn’t greatly disturb the nervous system! So now you can have your coffee, and have your body feel as good about it as your mind does! We all know alcohol is not good for us and is an unhealthy drink. But what else can we go to do lower our inhibitions, increase our confidence, and just forget about ‘life’? It would appear there is no place like an alcohol induced stupor, and many of us have been there (I call it “college or university”). But it’s not just the alcohol that is the issue. 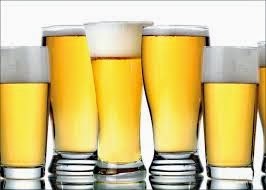 Beer typically contains 4 primary ingredients (aside from water): grains, sugar, yeast, and alcohol. The digestive nightmare that these 4 together create is fully illustrated by the ‘beer gut’, or what others call affectionately the ‘gluten bomb’. You see, most of us suffer from an issue called Candida. This insidious health challenge lies in our intestinal tract and causes a bacterial imbalance that can cause a whole host of health issues. It’s made worse by sugar, yeast, grains, alcohol, vinegar, and more. This makes beer an unhealthy drink that is causing all kinds of health problems, and there are few alternatives to turn to, other than making it organic and gluten free. Milk is found on breakfast tables across the world every day. If it’s not in our cereal, coffee, tea, or just a glass, it’s found in many foods we eat on a daily basis. We’ve been ‘told’ that milk is good for you, and it contains things like calcium that proponents swear you just can’t get anywhere else, but when you start to think about cow’s milk and what’s in it you may wonder why you were drinking it all this time. Fundamentally speaking, cow’s milk is made for calves, just like mother’s milk is made for human babies. Makes sense so far, right? Then, the mass majority of milk out there is pasteurized (which destroys any beneficial bacteria and makes it indigestible by the human physiology), and is laced with hormones and antibiotics. This takes a seemingly wholesome beverage, and turns it into a dead, processed, and chemically ridden beverage that causes allergies, hormone issues, and potential bone density loss. 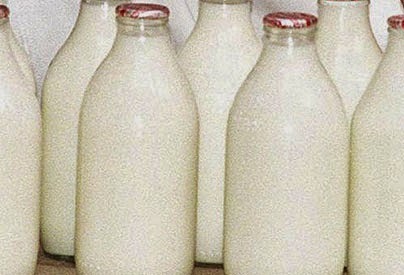 There’s a reason natural health practitioners recommend coming off milk as one of their standard practices. Until you make the leap, definitely go the organic way.